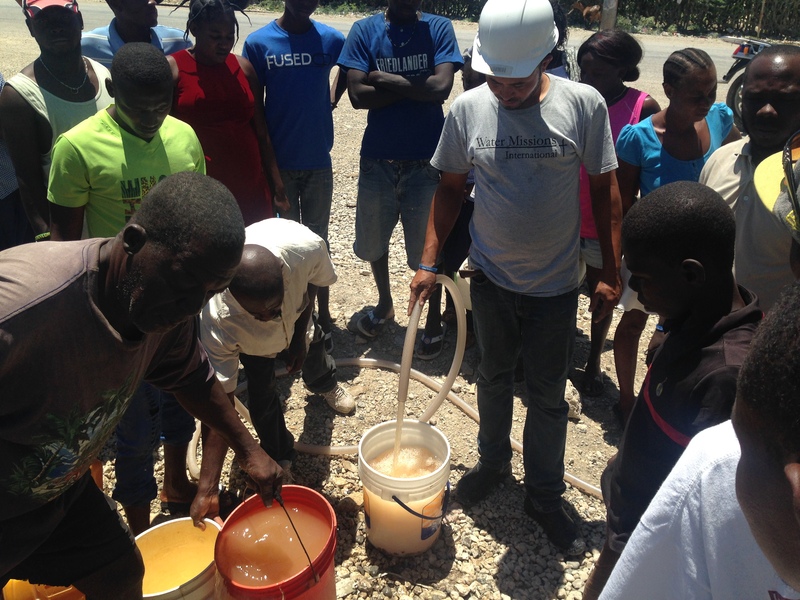 This past Monday, in partnership with Water Missions International and Forest Hill Church of Charlotte, NC, we were able to take a step closer to being able to provide clean and affordable water for the people of Minoterie. 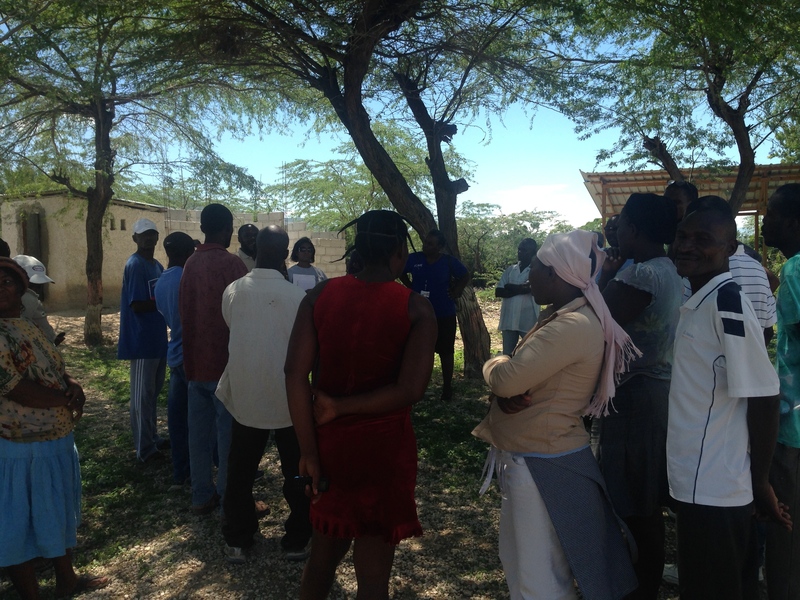 WMI employees came out to begin the first phase of the project, informing the local leaders and community of the need for clean water solutions, and testing of an existing water source to see if it could handle the output the WMI system would demand of it. In short, after about an hour of pumping water out of the well, the water levels were the same as they were before testing began. Which is great news! That means the source is a good one and will be able to handle the output of the system. 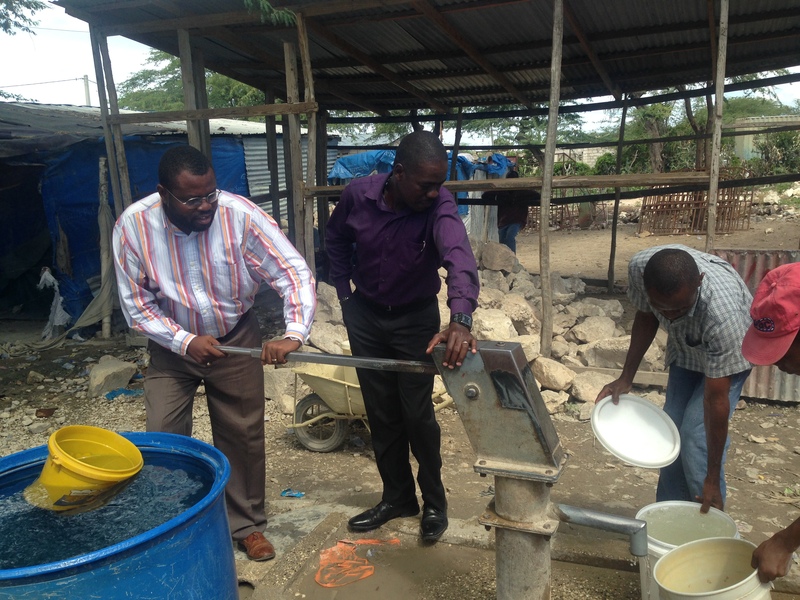 Here are a few pictures of that day: Francky, a translator of mine, and Pastor Kenol demonstrating the existing water pump before the WMI testing. 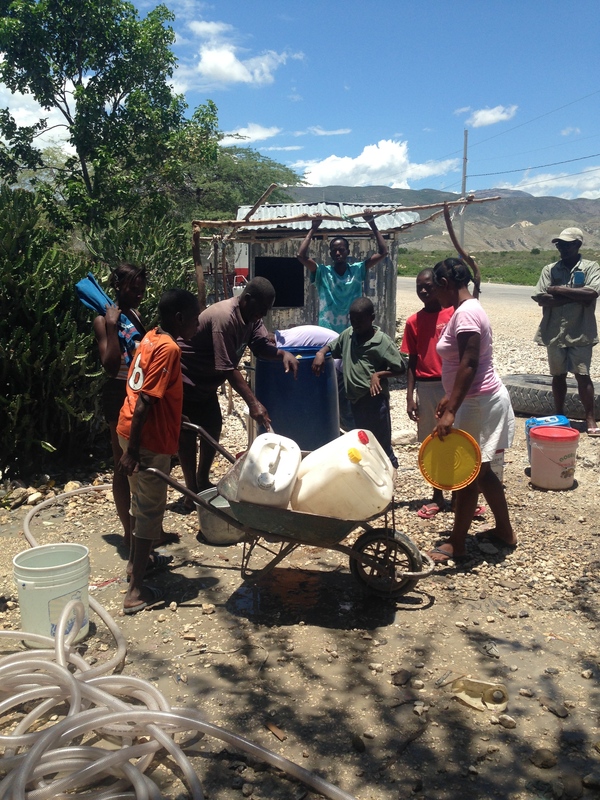 This pump provides free water that people can come and get, but it is not safe to drink. Pastor Galeme working hard. They told him he needed to come work off his gut 😉 While workers were removing the existing pump, WMI employees held a meeting with local leaders and people from the community. 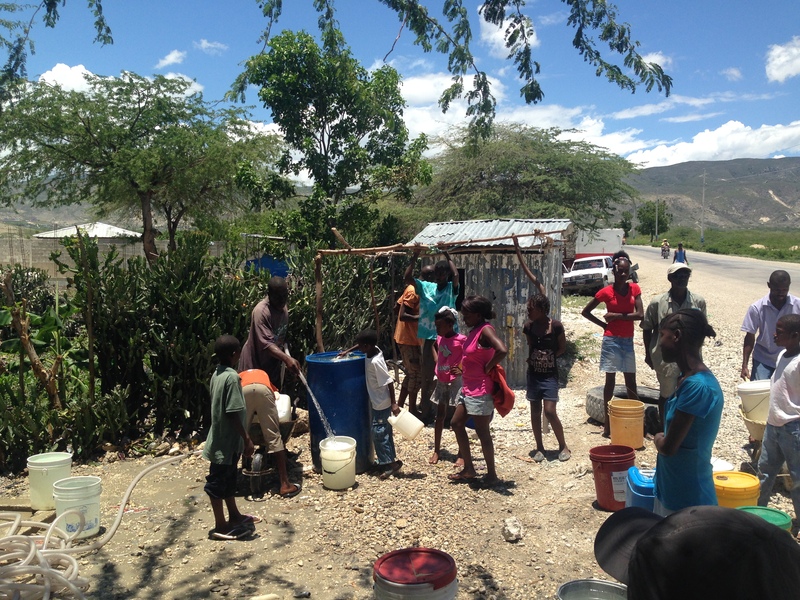 There were about 35 people in attendance, including pastors, Village Champions, community leaders, and those who often go to the existing water pump to get water. 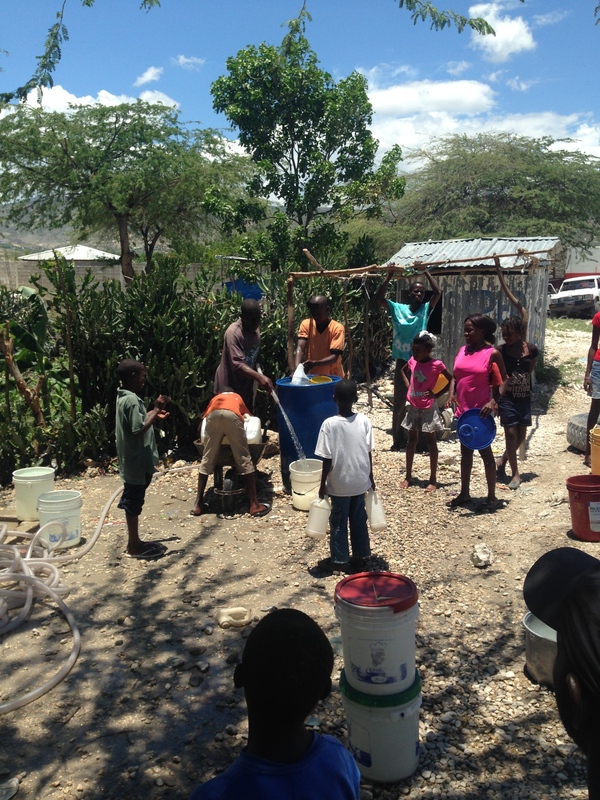 They were taught about the necessity for clean water as well as the process over the next few months until the project is completed. 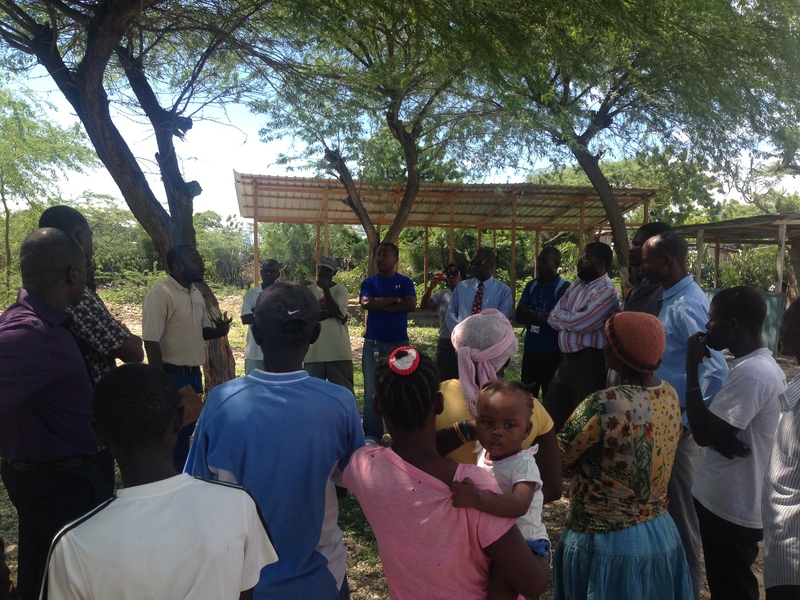 The pastors were very interested in the project and took the lead in spreading the word and informing people about the project! They had to pump out the dirty water first before the clear water came. 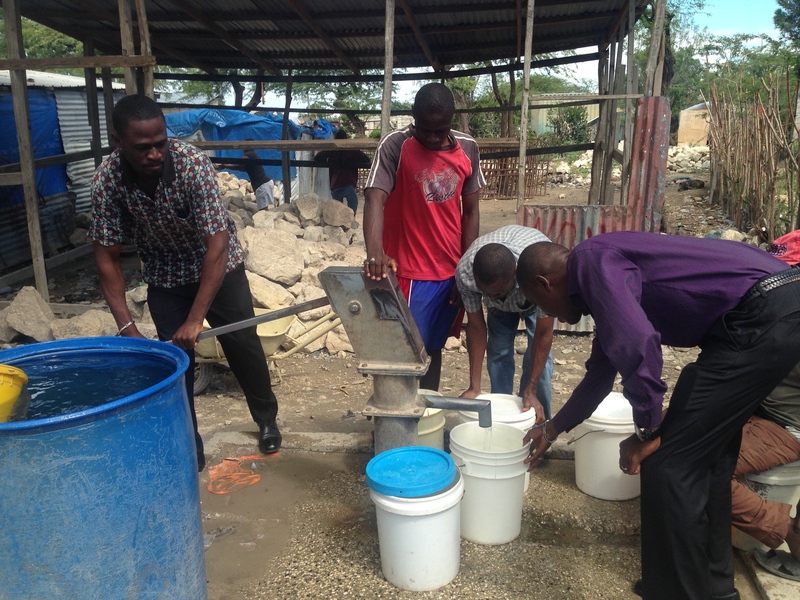 The man in the brown shirt filling the buckets was standing near the pump when the process began, and took initiative to fill buckets for all those who came! It’s amazing to see the community come together and work for the good of everyone. In total, the process took about two hours and filled about 100 buckets of water for people, who didn’t have to pump the water for themselves for that day. The process is just beginning and will take about 3-4 months to complete. 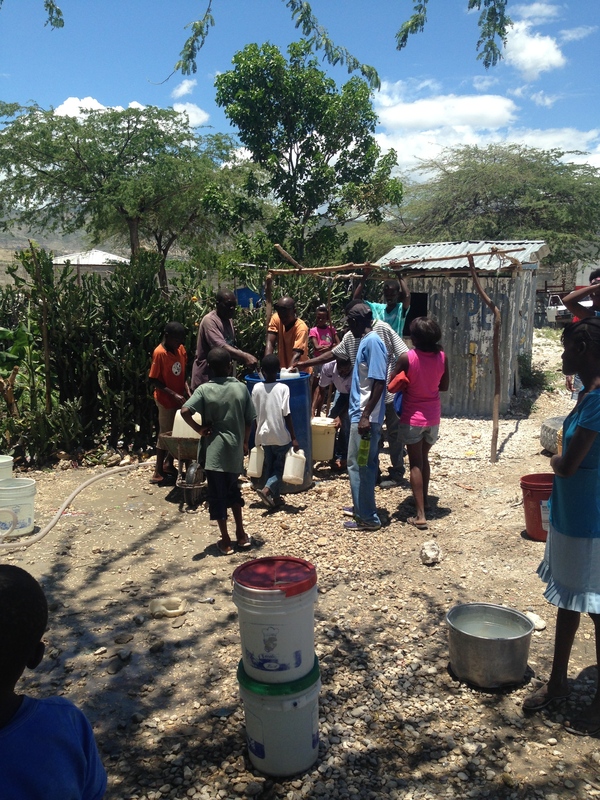 But very encouraging steps were taken on Monday to bring clean water to this community. Join us in praying for this village and for the life transformation that will come as a result of this project.